GOD knows every step of the way - We act as we devise in our hearts, but it is the Lord who directs or re-directs our actual steps. How GOD can accomplish His fixed purpose by "free-willed agents" - us! Man, without a free will is nothing more than a machine. That, we are not. Malachi 3.6 expresses that fact..."I am the Lord, and I do not change. That is why you descendants of Jacob are not already destroyed." "You can make many plans, but the Lord’s purpose will prevail." "No human wisdom or understanding or plan can stand against the Lord." "But the Lord’s plans stand firm forever; his intentions can never be shaken." "Only I can tell you the future before it even happens. Everything I plan will come to pass, for I do whatever I wish." "Who can command things to happen without the Lord’s permission?" It can be said, Man proposes, GOD disposes....Man devises, GOD directs. GOD orders our will without infringing our liberty of choice, or disturbing our responsibility. For, while we act as we please, we must be and we are answerable and accountable. Psalms 37.23 "The Lord directs the steps of the godly. He delights in every detail of their lives." Proverbs 20.24 "The Lord directs our steps, so why try to understand everything along the way?" 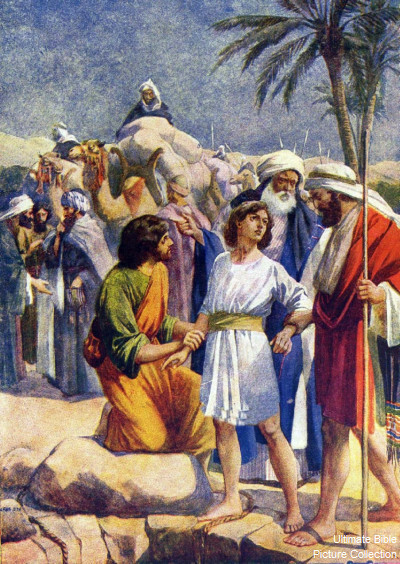 How little did Joseph's brothers contemplate GOD's overruling of their evil intentions. They put Joseph in a pit. Sold him. Genesis 35.26-28 "Judah said to his brothers, “What will we gain by killing our brother? We’d have to cover up the crime. 27 Instead of hurting him, let’s sell him to those Ishmaelite traders. After all, he is our brother—our own flesh and blood!” And his brothers agreed. 28 So when the Ishmaelites, who were Midianite traders, came by, Joseph’s brothers pulled him out of the cistern and sold him to them for twenty pieces of silver. And the traders took him to Egypt. Genesis 45.5 "But don’t be upset, and don’t be angry with yourselves for selling me to this place. It was God who sent me here ahead of you to preserve your lives." 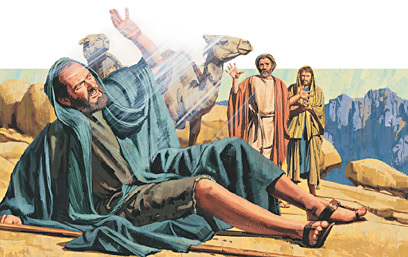 Acts 9.1-6 "Meanwhile, Saul was uttering threats with every breath and was eager to kill the Lord’s followers. 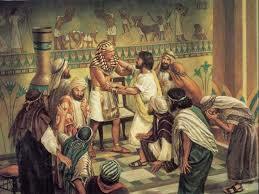 So he went to the high priest. 2 He requested letters addressed to the synagogues in Damascus, asking for their cooperation in the arrest of any followers of the Way he found there. He wanted to bring them—both men and women—back to Jerusalem in chains. verse 17 "One day Jesse said to David, “Take this basket of roasted grain and these ten loaves of bread, and carry them quickly to your brothers. v18 "And give these ten cuts of cheese to their captain. See how your brothers are getting along, and bring back a report on how they are doing. 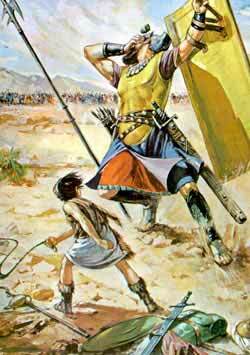 v23 "As he was talking with them, Goliath, the Philistine champion from Gath, came out from the Philistine ranks. 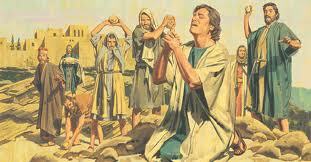 Then David heard him shout his usual taunt to the army of Israel." v58 "Tell me about your father, young man,” Saul said. Psalms 143.10 "Teach me to do your will, for you are my God. May your gracious Spirit lead me forward on a firm footing." GOD knows the whole way - every step of the way - and "the end from the beginning." How does GOD stop our enemies? 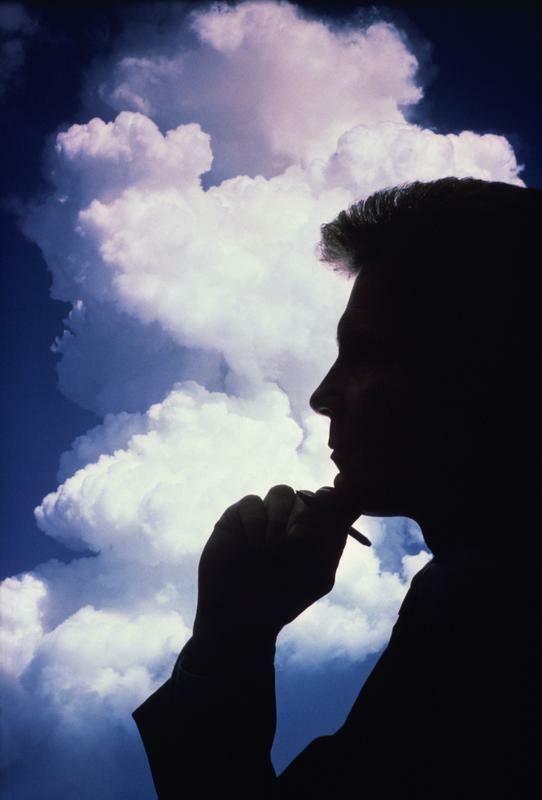 How does GOD know what to do? I believe there is a connection that needs to be considered. GOD alone reads and knows every thought of everyone alive. That does not just happen! More on this at a later time.